FireCAD Technologies has carved a niche for itself with expertise in design and engineering of cogeneration plants & power plants and software development for industrial steam boilers. 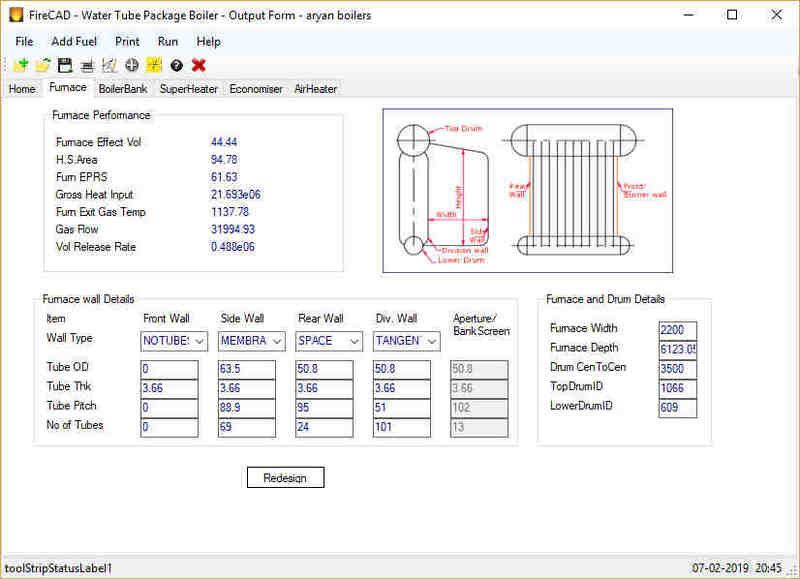 All our Boiler Design software is made available as Web applications. FireCAD’s emphasis is on developing user friendly Software. Our satisfied clientele over the globe using FireCAD Software has encouraged a greater commitment. 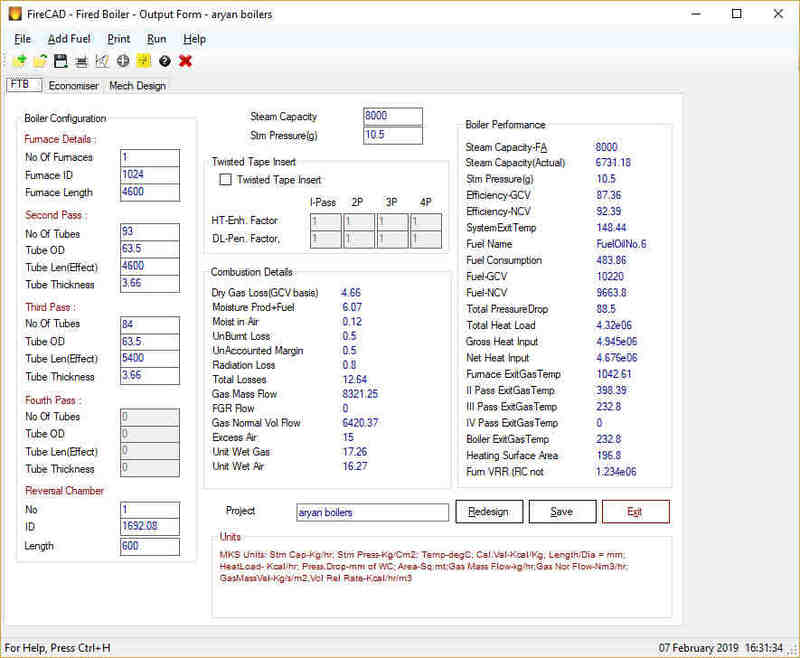 FireCAD software is being used by Steam Boiler manufacturers and Engineering consultants across the globe from over 30 countries. 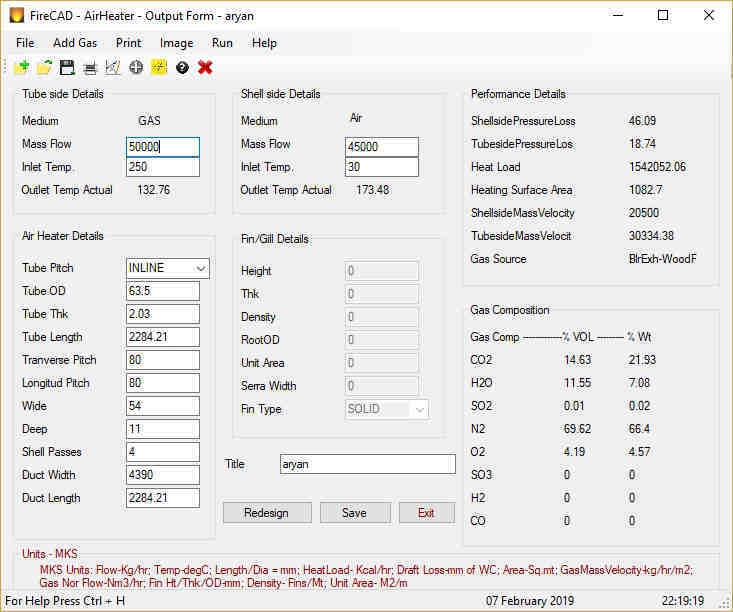 Design software for Grate Fired Boilers, Water Tube Package Boilers, Fire Tube Boilers both fired and waste heat type (Steam Boiler and Hot Water Boiler), Combi boilers, Economizers, Air heaters and Superheaters is available. We offer design consultancy for various Industrial Boilers like Oil fired Boiler, Gas Boiler, Wood boiler, hot water boiler and Combi boiler. Solid fuel fired Steam Generators up to 250,000 Kg/hr and 550 degC can be designed. Novice as well as expert design engineers for quick and accurate designs. Extensive Fuel and Waste gases database. Wet back or Dry back and 2,3,4 pass Boilers can be designed. Waste heat boilers(Fire Tube) for Chemical/DG set/Process/Metallurgical/Power plants can be designed. Oil as well as Gas fired Boilers can be designed. Option to include Economizer and Air-heater with Bare/Fin/Gill tubes. Design a wide variety of Economisers for Fired Boilers, Waste Heat Boilers, HRSGs and for other hot gas sources of Chemical plants. 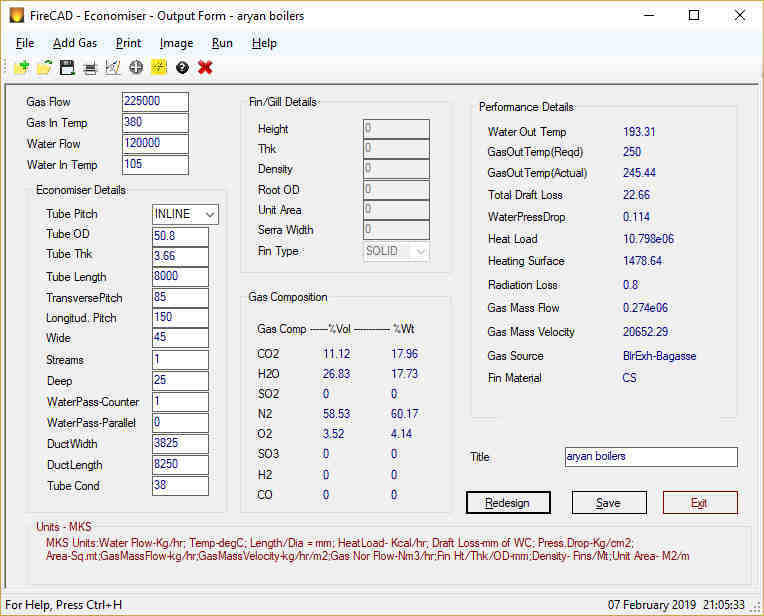 A database of Industrial standard Fins and Gills has been provided so that users can directly select Fin or Gill of thier choice to use in design. 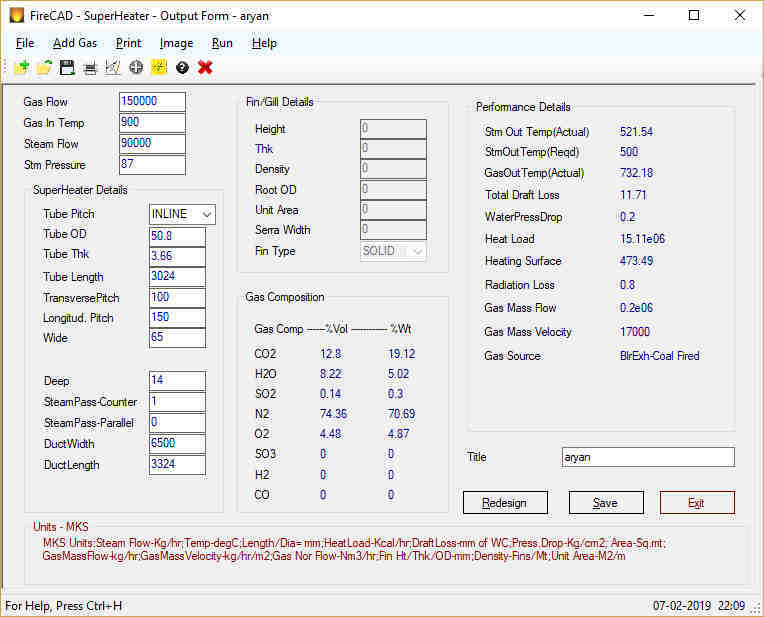 Design SuperHeater for Fired Boilers, Waste Heat Boilers, HRSGs and for other hot gas sources of Chemical plants. All types of Bare tube, Fin tube and Gill tube Superheater can be designed. Design AirHeater for Fired Boilers, Waste Heat Boilers, HRSGs and for other hot gas sources of Chemical plants. All types of Bare tube, Fin tube and Gill tube Airheatercan be designed. The following are the some of the FireCAD designed projects ..